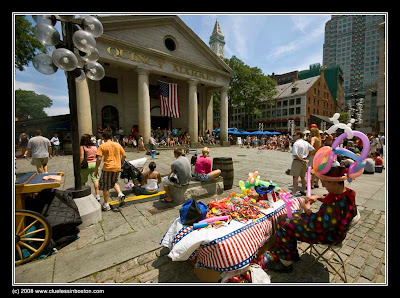 Typical summer afternoon at Quincy Market. Clowns, jugglers, musicians, and tourists. Here is a wintry view of the same area from a different vantage point. Quincy Market is one my most favorite places in all of Boston... great!